Remember when computers where only used by NASA and virtual chess? Although those days involved doing such trite things as paying your bills by mail and having to have the other person pick up a phone to speak to them, the technology used to launch us into the digital era can have loads of careers and be just as confounding as not having it. Everything right down to phones can be used for tasks from managing networks to a doctor’s consultation, although you never heard of an old wire phone being hacked or crashed. Is Renewable Energy Really Eco-Friendly? There’s much being said about the need for renewable energy sources; we’re being asked to tap the natural power of the sun, the ocean, the wind and biomass instead of depleting the earth’s natural resources for our energy needs. And so we’re seeing the emergence of solar panels, biomass fuel generators, and wind and water turbines that use the power of the wind and the water to create electricity. However, there are a few people who believe that the development of renewable energy sources on a large scale would involve environmental destruction of the greatest kind – Climate change researcher and conservation biologist Jesse Ausubel feels that key renewable energy sources like the sun, wind and biomass would require large tracts of land if developed up to large scale production. He also controversially recommends nuclear energy as the most viable and eco-friendly alternative. His theory is that for energy must be produced efficiently, and his definition of efficiency is the amount of energy that can be produced per square meter of land used – this makes nuclear energy the most effective of the lot. Ausubel claims that as renewable energy use increases, this measure of efficiency will decrease as the best land for wind, biomass and solar power get used up. Many other scientists disagree with Ausubel’s theory – their argument is that existing land like rooftops can be reutilized for maximum efficiency and that land on which wind turbines are built can also be used simultaneously for farming. Meanwhile, there’s another spanner in the works in the world of renewable energy, one which questions the reliability of tidal and wave powered generators. Scientists are of the opinion that these generators and the cables that bring the power they generate to the shore could seriously mess with the internal compasses of sea creatures that migrate long distances using the earth’s magnetic field as a guiding device and cause a massive change in the ecosystem of the oceans. We know that great white sharks travel thousands of miles across the ocean, that salmon make an incredible journey from rivers to seas and then back again to spawn and then die at the place where they were born, that sea turtles hatched on beaches swim against many tides and battle many ocean currents to head home, and so on. We don’t really know how they do this, but oceanographers with the Pacific Northwest National Laboratory’s Marine Sciences Lab in Sequim, Washington, are of the belief that power generating devices in the water could hamper the ability of these sea creatures to lead their natural lives. Whether these two theories are really true, no one really knows. But the question here is – are we willing to take the risk to find out if they are real possibilities? How do we know for sure without going ahead with the search for renewable energy sources? And if these are proven correct, can we live with the fact that we destroyed natural habitats and messed up ecosystems in our haste to find alternatives to fossil fuels? It’s a minefield that must be crossed, and to do so without setting off any of the random mines, progress must be made, but it must be done slowly and steadily, after considering each step carefully and thoroughly. Geometry is a branch of mathematics that centers around shapes, sizes, position, and the properties of space. Derived from the Ancient Greek, geometry means “earth measurement.” If you have ever used a slide rule, graphs, charts, or any similar piece of mathematics, chances are you have done geometry. Because it is such a fundamental part of algebra, calculus, and beyond, it is essential that students learn geometry early and well. However, whether you are at the theoretical phases or just beginning by measuring shapes, it can be an overwhelming subject. To help you better understand it, we have gathered the below top 25 geometry blogs. Written by students, teachers, and overall lovers of math, they can help get you squared away like never before. Learn about geometry in all its forms with the help of these blogs. The Geomblog Get ruminations on computational geometry, algorithms, theoretical computer science, and life here. Suresh’s blog is not for beginners and contains labels on everything from research to theory. An excellent choice for post-doctoral students. Noncommutative Geometry This blog actually lists geometry related events and job openings in addition to regular posts. Thoughts on math and geometry are also shared. The blogger also allows reader commentary and often responds to it. G.R.A.M.S. Is Geometry Blog This blogger does not reveal much about themselves. However, there are entries on geometry related topics such as business, design, and even politics. Items that interest him are also shared. The Sacred Geometry Blog The tagline of this blog is “without geometry, life is pointless.” Taking a more spiritual approach to the math, they discuss how geometry relates to the Law of Attraction. Although many entries can be more philosophical than mathematical, they often use geometry and related diagrams to illustrate their point. Computational Information Geometry Wonderland This blogger often brings computations and diagrams to discuss geometry. Bregman Voronoi diagrams, hyperbolic, and many others are often shared. There is also an information geometry portal with more. Square Circle Z Although not strictly a geometry blog, they feature math, learning, computing, and even travel. There are pages on how to understand formulas and even overcome the “math blues.” A recent entry was on funny graphs. Use these blogs to help teach or learn geometry and other forms of math. Wild About Math! Visit here for a blog that makes math fun and accessible. He is a math lover who used to be a computer programmer. He sees delight in all things mathematical and shares how and why on the blog. MathNotations Dave Marain is a recently retired math teacher. He features math challenges, standardized test practice, and even Problems of the Day. He also has an “Odds and Ends” series in which he takes on math and education items in the news. Math-U-See They are a company that helps students at all levels learn all kinds of math. The blog is full of tips for how to teach and learn it. News, product information, and items just for fun are also shared. Homeschool Math Blog Maria Miller loves teaching and math. Her blog is full of ideas on how math can teach ideas, along with worksheets, reviews, articles, and more. She also features many entries as video lessons. Math Learning Blog This blog believes that every student can excel in math, no matter where they start, where they live, or who they are. Their company promotes adaptive technologies and curriculum to teach math. The blog is also full of tips and tricks to help students learn math. Loren on the Art of MATLAB More advanced students of math will enjoy learning from Loren. She works on the design of the MATLAB language at The MathWorks. A recent entry was on C++ and DLLs. Better Explained Stop here for a blog that shows you how to “learn right, not rote.” With loads of entries on math and geometry, this blog strives to make difficult ideas easier to learn. One of the latest posts was on math and numbers, programming and web development, and communication. Learn more about geometry by learning more about math in these blogs. Ars Mathematica Often a popular choice, this blog makes math into an art. Categories include computer science, economics, physics, and statistics. The blogger recently learned the theory of model categories and shares more. The Unapologetic Mathematician John Armstrong strives to make his blog accessible to the lay audience. It includes high level excursions, observations, rants, and musings. A series on “The Branching Rule” is what is currently being focused on. The Numbers Guy Because more math = more money, there is this blog from “The Wall Street Journal.” Carl Bialik examines numbers in the news, business, and politics to see how they can help us make informed decisions. Recent entries were on the cost of doing business and college evaluations. Junk Charts How can a blog about recycling chart junk as junk art help teach geometry? For all the graphs and charts it reprints. They include entries on everything from wealth to pancakes. God Plays Dice Michael Lugo brings you a random walk through mathematics, which involves mostly the random parts. He is a fourth year PhD student in math at the University of Pennsylvania. He recently shared how to win the Ontario Lottery’s Tic Tac Toe game. Mathematics and Multimedia See how math and the new age of computers intersect on this blog. Guillermo Bautista works in a university in the Philippines. He also features a GeoGebra section with more on geometry. Chapter Zero Because math doesn’t really have a beginning, there is this blog. A long standing choice, the archives on the blog date all the way back to 2001. Random posts are on everything from the linear, short problems, and cheesecake. Computational Complexity Lance and Bill bring you fun stuff in math and computer science on their blog. Part of Scientific American, they also offer a graduate student guide, as well as podcasts and vidcasts. Tiger Woods and the Venn Diagram was the topic of a recent post. 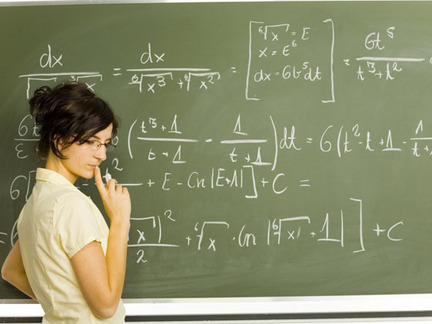 Rational Mathematics Education Michael Paul Goldenberg teaches more on this type of math. He explores disinformation being taught on the subject, with a focus on the internet. Commentary on education, politics, and more is also shared. And the above top 25 geometry blogs are just the beginning. There are loads of other help on the web and tons of online lessons. For example, there is this virtual, online geometry textbook from AAA Math with tons of help on the subject. You can also click here for loads of other math lessons, including geometry, for many different grade levels. Do You Need a Degree to Be a Web Developer? There’s no doubt that it’s a job earns you both money and respect if you’ve established yourself in the field, but if you’re only just considering becoming a web developer, you’re probably pondering over whether you need a degree or not to make a success of your choice of career. The truth is, the Internet is a well-developed entity today, not the fledgling it was just a decade or so ago. We’ve come a long way since the days when it was an anomaly to establish a presence on the web; today, it’s the norm and even considered a sort of crime if you don’t have a website to market and promote your business. And although there are still many people who are looking for good developers to get their websites off the ground, they would prefer to go with those who are established and have carved a name for themselves rather than trust a newbie with their project, unless they’re related to you or you offer to do it for free. So here lies the rub – why would you want to go to college and learn web development if it’s going to be so difficult to crack your way into this field? The answer is simple enough – it’s not easy on your own, but if you’re able to work with a team of developers or a development company that is well established, then in a few years’ time, it’s going to be easy to do things on your own. Your portfolio would be well developed, and you would have learned much from the team you’ve been working with. It is for this reason that a degree in web development basics would come in handy – when you’re seeking employment instead of doing things freelance, you would be expected to hold a degree. And even if you have an aptitude for programming and all the makings of a tech geek, even if you’ve taught yourself all there is to know about web development, it would do you a world of good to go to college and earn a degree. Besides this, you would have to be familiar with the current trends in web development and show expertise in at least one scripting language. If your forte is throwing together readymade scripts and templates and hooking them up with a database to develop a site, then you’re not going to make the cut as a web developer. If you really want to go it on your own, then you must start by putting together a portfolio of sites that potential clients can evaluate before they decide to trust their projects to you. You can do this by developing for free at first, for relatives and friends who are looking to get on the web, and then moving on to finding clients through freelance project sites. Don’t be too finicky about money at first; once you establish yourself, it’s easier to call the shots. When Does Technology Work for K12 Teachers? There’s no doubt that technology rules the world we live in today; without our gadgets and gizmos, our world would come to a screeching halt and everyday life as we know it would be thrown into chaos. However, while we all agree that technology is a valuable and indispensible asset, it is only as useful as the people who use it – so even though you have all the fancy equipment at your disposal, it’s virtually worthless if you don’t know or are not inclined to tap its full potential. When it comes to the K12 environment, the debate on the usefulness of technology still rages on. Recent studies show that while it is important for teachers to adopt the use of technology in the classroom, it is not advisable to allow students unrestricted and unsupervised access to technology that could be misused. Researchers at the Duke University have stated in their study “Scaling the Digital Divide: Home Computer Technology and Student Achievement” that access to technology alone is not enough to bridge the educational gap between the haves and the have-nots. For children from poorer families to benefit positively (show a marked improvement in grades and academic performance) from the free computers and broadband Internet access they’re given, parental supervision and involvement and effective time management skills are necessary too. Just the presence of the technology will not do. Another study conducted by researchers at the Walden University, “Educators, Technology and 21st Century Skills: Dispelling Five Myths” says that the use of technology by K12 teachers and educators has a positive impact on student learning, engagement and development of 21st century skills. How then can K12 educators and classroom teachers strike a balance in ensuring that technology is used in an optimal way? The problem with technology is that it is inextricably tied to the Internet, the virtual world that promises so much yet is fraught with dangers and temptations that could so easily lead a child astray and ruin their lives for good. For technology to be useful, its usage should be taught, monitored and controlled, and that’s where K12 teachers should play an active role. Technology works best in the K12 environment when its teachers understand it and know all the ways in which it can be used; they must know its advantages and disadvantages, and be able to ensure that students tap its potential rather than abuse its availability. And for this to happen, K12 educators must be savvy in the ways of the Internet. More than getting to know and learning just one particular technology, they need to know how and where to find the best online material that helps students understand their lessons better, provides them with additional material that’s both fun and helps them learn (like quizzes and educational games), and motivates them to use technology for the right purposes. K12 teachers and technology go hand in hand when they understand each other perfectly and coordinate to provide the best education to the students they teach. In the past decade, the Internet has given rise to the UFO community, allowing those who believe or have shaved experiences, to connect with others like them around the globe. These UFO blogs offer insight into this unknown world and many look at experiences from both sides of the coin, trying to prove theories true and trying to debunk faux reports. These UFO blogs are among the best on the web and give you the full-on UFO experience without hopping in an alien craft. 1. UFO Blog This UFO blog frequently updates with UFO sightings from middle America to Australia. It is a great site for newbies to start learning about UFOs and where sightings are spotted now. 2. Real UFOs If you want around the clock UFO updates, this is your blog. The blogger also regularly posts significant interviews with UFO-ologists. 3. UFO Blogger This UFO blog serves as a feed for a roundup of UFO news as it happens. There are also articles over conspiracy theories and global warming. 4. Cosmic Paradigm This site is dedicated to bringing you news revolving around UFOs and the government. While it’s not fact-based, it does provide a look at UFO inquiries from countries outside of the U.S.
5. UFO Blog This UFO blog talks aliens, space crafts, personal experiences and also has info over items like the Montauk Monster. 6. My UFO This blog is all about personal sightings and alien experiences. It’s a fun blog to read when you’re trying to learn about alien encounters. 7. The UFO Chronicles This UFO blog is packed with experiences and stories of those who’ve had a first-hand encounter with aliens or spotting UFO space crafts. 8. Disclosure Project This site shares government documents and briefings that discuss UFO and alien studies at length. 9. Earthfiles This UFO blog constantly updates and studies major UFO sightings from the past 20 years and also has reports of UFOs from police officers. 10. Enlightened Contact with Extraterrestrial Intelligence For those who want to read about UFO-related items beyond the standard sighting, this blog has personal stories of one-on-one encounters with aliens. 11. Majestic Documents This site has an overwhelming amount of documents from the U.S. government and military that covers UFO and alien encounters. 12. Paradigm Research Group This site is the online home of a major UFO conference that takes place each year for believers to share research and experiences. 13. Vertias Show This site has a bevy of information on U.S. documents and data that reflect UFOs and aliens are very much a real issue (and threat). 14. UFO Evolution This fantastic site has fascinating posts over alien encounters and UFO sightings from South America to Asia. 15. After Disclosure This site focuses heavily on conspiracy theories and government cover-ups, with an emphasis on UFOs and aliens. 16. Crop Circle Connector Get information on crop circle reports from around the world. This is the perfect site to visit when you’re first exploring crop circles and want to learn the history of this strange happening. 17. Colin Andrews This ex-electrical engineer now studies crop circles full-time and is one of the biggest names in UFO and crop circle research. 18. BLT Research Team This crop circle research team travels throughout the U.S. and Canada, studying crop circles and soil samples in the flesh. 19. UFO Video Blog If you want an up-close look at crop circles, this UFO blog is packed with video footage that allows you to see the details. 20. Temporary Temples This site has the 101 on learning about crop circles for those who need the basics before exploring this natural (or otherworldly) phenomenon. 21. Crop Circle Bookmark this site so you can stay posted on crop circle news. The blog serves as a feed for incoming stories on crop circles and UFO sightings. 22. Latest UFO Sightings – Crop Circles This site is all about UFOs with a hefty section over crop circles and the possible theories of what cause the large designs each growing season. 23. Wine Food Pairing . 24. Crop Circle Research This group is on the forefront of crop circle research and takes a scientific, fact-based approach to finding out what’s causing the formations. 25. Crop Circle Secrets This site looks at the scientific reasons that could be causing crop circles such as sound and the weather. It also debunks bogus crop circles that have popped up in the past decade. 26. World Mysteries – Crop Circles At this site you’ll learn all about the history of crop circles, including when they first appeared and how they’ve changed over the course of the 21st century. 27. Crop Circles This site serves as a crop circle database of sorts, allowing you to track the circles that have popped up around the world in recent years. 28. Your Own World USA – Crop Circles This site has an array of articles over crop circles, including government cover-ups and what researchers in the UFO community are discussing when it comes to crop circle formations. 29. Crop Circle Answers This site shoots to debunk fake crop circles and looks at authentic crop circles from a scientific perspective. There are interviews with major players in the UFO community and videos of crop circles. If you feel like getting chatty about your own UFO experience or want to read what others have to say about aliens, check out these messageboards and interact with others interested in the subject. 30. UFO Research Network Here members talk about abductions and sightings in large cities and more rural areas. 31. Above Top Secret This is one of the strongest online communities for talking about UFOs, alien abductions and everything paranormal. 32. UFO Messageboard At this site, members chat about aliens and UFO sightings, as well as ghosts. 33. Crowded Skies – Alien and UFO Discussion Boards This discussion forum is a must-read for those who are looking to learn about UFOs and aliens. While some of the threads are far-fetched, many offer a sound examination of life outside of Earth. 34. Bulletin Boards – UFO Experiences Pick a board, any board! At this messageboard, there are various forums dedicated to alien talk. 35. History – UFOs The History Channel has an active messageboard for UFO and alien discussions. Some of the threads discuss aliens dating back as far back as the Egyptians. 36. UFOs and Aliens Proof Evidence – Forums At this site, messageboard members hop online and share stories of alien encounters, often accompanied by photographs or video footage of the event. 37. Baked Meatballs Stuffed with Roasted Garlic and Cheese . 38. Aliens and UFOs Videos This entire messageboard is UFO talk with forums over UFO vides on YouTube and deciphering the authenticity of alien photos found online. 39. Alien UFOs This site has an array of posts over government conspiracies from around the world revolving around UFOs and daily reports from members who witness unusual objects in the sky. Everyone has an opinion on UFOs and these blogs include skeptic sites that aim to disprove UFOs and alien life. 40. UFO Skeptic This site is penned by professional scientists who break down UFO sightings and experiences from a factual standpoint. 41. The UFO’s Skeptic Page This UFO skeptic site talks about the history of UFOs and the hoaxes that have been peppered throughout the years that have turned people into believers. 42. Ian Ridpath’s UFO Skeptic Pages This UFO skeptic blogs about the misidentified UFO reports that have actually been planets or meteors. 43. Alien Resistance – UFO Skeptics This blogger isn’t for or against UFOs, just determined to find factual evidence that they exist before going forth and exploring the subject further. 44. Center for UFO Studies This site investigates UFO sightings that are reported by one person or a group of people. It’s a brilliant site for learning about some of the causes of supposed UFOs people spot in the sky. 45. Hyper – Skpetics This UFO blog shows you that you can’t believe everything you read, no matter what side of the coin the blogger is on. It looks at UFOs and aliens from a scientific angle. 46. The Black Vault For those who are looking for facts to back up UFOs, this site has thousands of government documents stating the U.S.’s stance on aliens and whether they exist. 47. UFO Evidence At this site you’ll find plenty of UFO documents and claims, so you can make an informed decision on the subject for yourself. 48. Debunker From the crop circles to major UFO sightings witnessed by thousands, this site has a concrete, logical explanation for nearly everything. 49. Bad UFOs Websites and local TV stations regularly broadcast UFO sightings, but sometimes they’re far-fetched images that are simply sensationalized for a story. See pictures and video footage of bad UFOs at this funny blog. 50. Doomsday Guide At this site, you’ll find links to various UFO and alien skeptic sites to visit when you need a dose of reality on extraterrestrial insight. Online resources like blogs and messageboards can help believers connect and talk about UFO experiences. Whether you’ve had a personal experience with UFOs or want to learn more on the fascinating subject, these UFO websites will show you the history of aliens and sightings as reported by real people. The administrators of healthcare facilities must work in tandem with members of the IT department to ensure that certain security standards are in place and effected rigorously. Efficient and tamper-proof EMR systems must be set up, with security and accuracy sharing the spotlight. Strict security measures must be put in place to check the background and trustworthiness of all the employees who handle sensitive data. Protocol and hierarchy must be established to allow access to patient data and other records so that the data is protected and to identify responsibility when and if a breach occurs. Doctors and others in responsible positions must be trained in accessing patient records and information from remote locations using their mobile devices. Care must be taken to avoid downloading sensitive data into portable devices and allowing these gadgets to fall into the wrong hands. Passwords must be changed on a regular basis to avoid tampering with the records. Care must be taken not just while accessing the records but also while updating or correcting them. Appropriate levels of access must be granted according to the stature of importance of and the designation of the employee who is allowed access to patient records. Some may only be allowed to read a few fields in every record, others have access to the entire record, and yet others enjoy carte blanche with powers to modify and even delete records. IT security in medical workplaces is of vital importance not just when it comes to safeguarding the privacy of patients but also in helping to prevent and eliminate medical errors. The records comprise the medical histories of patients, and when they are accurate and tamper-proof, they augur well for a healthcare setting with fewer errors and a higher cure rate.